I bought this for Dan for Valentine’s Day, partly because I thought it was funny, but also because it sounded like something he’d enjoy. Because it’s funny. It’s also an indie product, and I’m on board with supporting small businesses. It’s also vegan, cruelty-free and 96% natural, so that’s awesome. For Valentine’s Day, they were running a promotion for 20% off and they included a free gift box that said “I’m nuts about you!”, and because I have the sense of humor of a 10-year-old boy I giggled like mad and clicked Add to Cart. I was correct that he’d be amused by it, but he was pleasantly surprised that it’s also a good quality body wash. It smells really good; like cloves and something musky and “manly”. The only way I can describe it is like a freshly showered man, which is redundant since it’s a body wash. The consistency is a little odd. Out of the bottle, it’s thick and black, a bit like used motor oil. 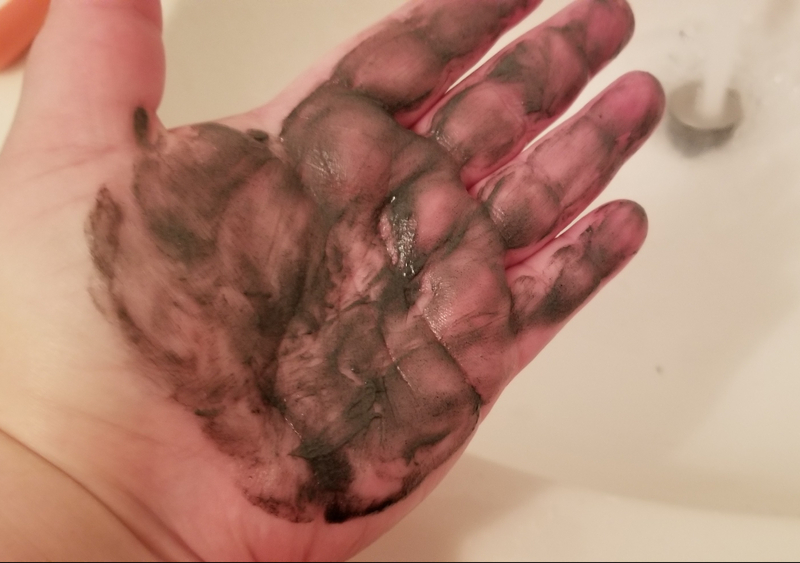 It says on the website that this stuff is black, but I wasn’t expecting it to be this black. It doesn’t really lather when you rub it on wet skin, but Dan says he feels clean when he uses it. He doesn’t smell bad, so I guess it’s working. I’ve used it a couple times and like it well enough. I’m not nuts (see what I did there?) about the smell, so I don’t think I’ll be using it much. 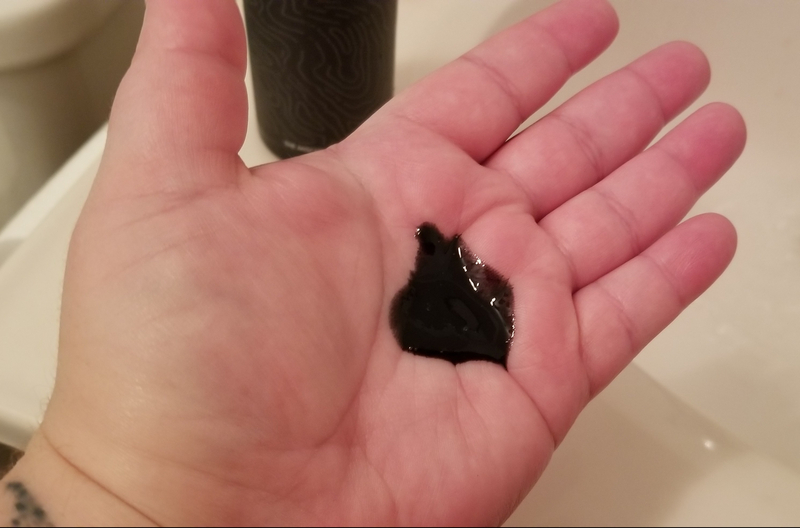 If you have a man in your life who appreciates nice bath products, or you’re into washing with thick black goo that smells like cloves, you’ll likely enjoy this.